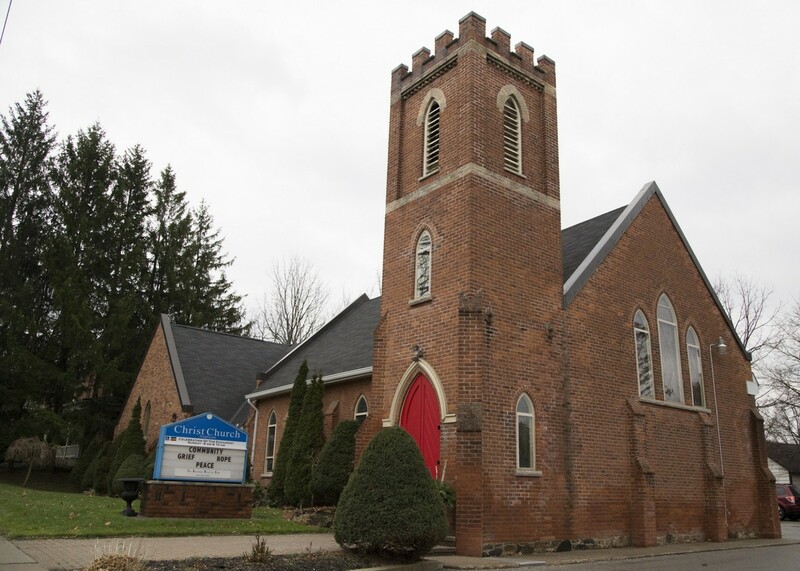 Anglicans have been worshiping together in Bolton officially since 1832 when Rev. Adam Elliot, a traveling missionary, conducted services on the threshing floor of a local barn. It was not until 1844, when Henry Bath Osler was priest, that a permanent place of worship, a wooden structure, was constructed where Centennial Drive is now. Today the stones from the church graveyard are still in that spot. Later, in 1874, our congregation moved to our present building, a mud brick structure on Nancy Street. The nave of our current church building is part of that original structure. As the population of Bolton has increased, there have been several initiatives to enlarge and modernize our building so that we as a parish can be present within our community and provide facilities for our growing congregation. The most recent construction was completed in 1986. It provided room for a larger congregation to worship together, more meeting rooms, a parish hall downstairs, and updated office facilities. With over 170 years of service and worship, twenty-three incumbents along with our present rector, the Reverend Don Beyers, have provided continuous and enthusiastic guidance to Christ Church. In order to preserve the legacy of Christ Church and make a vibrant future possible for our parish, in 1999 we initiated the Heritage Fund. The purpose of this fund was to receive bequests and memorial donations from parishioners who have thoughtfully remembered the parish in their wills or as beneficiaries of their insurance policies, and to wisely administer such monies for the benefit of the parish. The accumulation of such gifts over the years will build a capital fund that will strengthen Christ Church as a place of worship and a centre of ministry and service for many years to come. The fund is designed to accumulate capital financial reserves to a maximum amount of $200,000. After this amount of reserve has been reached, the Church wardens and incumbent with the advisory board will recommend the use of any interest or income from the fund, for the benefit of the parish ministry. A will reflects our love for those nearest and dearest to us. It also reflects our faith and provides an opportunity to share our material wealth with the causes and institutions that have been important to us in our lifetime. By designating some of your possessions for the support of Christ Church, you can be assured that your earthly assets will continue to work for your parish beyond your lifetime – a very comforting thought to many. There are times when we are able to give substantial gifts to the church over and above our regular support of ongoing ministry. The sale of a home that has appreciated in value over the years, the receipt of a bequest or any substantial increase in the value of an estate may enable that special gift. A practical way of making a substantial gift to the Heritage Fund can be arranged by means of Life Insurance. You can take out a new policy and “gift” it to Christ Church Heritage Fund, or you can assign an existing policy, or a portion thereof, to Christ Church during your lifetime. A tax receipt is issued for every gift to the Christ Church Heritage Fund. When you make a gift by will, your estate is eligible for a tax receipt of up to 100% of your net income in the year of death and the preceding year. If you assign or transfer a life insurance policy, you receive a tax receipt for any cash value of the policy and premiums paid after the date of transfer. If you name Christ Church Heritage Fund as beneficiary of your life insurance policy (or a portion thereof), then your estate will receive a tax receipt equal to the death benefit paid to the Christ Church Heritage Fund. To learn more about our Heritage Fund and how you may support the long-term ministry of Christ Church, call us at 905-857-0433. We would be happy to share with you the many ways you can share in our ministry to the people of Bolton.